Oracle has quadrupled in size over a 15-year period aided by a number of key acquisitions in apps, infrastructure and the Cloud. Ending its fiscal 2018 this May with record-breaking revenues of nearly $40 billion, Oracle is opening up a new chapter by positioning the 41-year-old database vendor as the next destination for Cloud solutions. For Oracle that has nearly quadrupled its size since 2004, its evolution from a company made famous for its database to a multi-product provider with an array of applications, middleware, hardware and finally Cloud services underscores its longevity as much as its creativity. The evolution was on full display in May when Oracle held a two-day event to showcase not just the breadth of its offerings, but also the promises of its Cloud solutions. Solution-selling is the key to Oracle’s future similar to what its popular database has done to drive its phenomenal growth since its founding in 1977. And that’s the hurdle that Oracle needs to cross because some corporate decision makers still consider Oracle nothing else but a database vendor. By creating a growing number of Cloud Solution Hubs in cities like Austin, Bangalore, Burlington, Reston, Santa Monica, and others still being activated, Oracle aims to package different Cloud products and technologies to realize the vision of object recognition with augmented reality for consumer packaged goods companies, connected patient and well-being regimen for drug store chains, efficient employee self service via chatbot for enterprises, and building trust with Blockchain for corporate banking customer onboarding. Each of these use cases is illustrative of how the melding of reliable data, attractive user interface, best of breed applications, and the latest advances in artificial intelligence, machine learning and cybersecurity can work together to drive predictable outcomes for electronic commerce, decision support, business process automation, and compliance. These are just a few prototypes that Oracle is building out from its Cloud Solution Hubs, which will be instrumental in scoping out user requirements, while multiplying templates that can be extended to enterprises across different verticals. These customers are all struggling to combat market disruption by reinventing themselves with the help of customer insight, process improvement and technology innovation, all conceived and packaged by these Hubs. Examples may include helping traditional broadcasters like BBC reconfigure their Cloud environment with a slew of technologies from Oracle including media streaming, disaster recovery, high-performance computing and finally user interface enhancements like chatbot that allow for precise content marketing and audience development. During its fiscal 2018, Oracle announced its Autonomous Database along with other key enablers for analytics, data integration, DevOps, serverless applications and Visual Builder as major components of its Autonomous Platform As A Service. The end game is to position its crown-jewel database not as a static repository for storing and spitting out data, but rather a self-directing engine that handles data intelligently – especially assets like customer insight that matters a great deal to an enterprise. Then the Oracle Autonomous Platform will kick in by processing the staggering workload with a purpose-built algorithm in order to deliver desirable results and perhaps the best recommendations possible from different Cloud applications. For instance, the approval bottleneck that is commonly found in every hiring, purchasing and invoicing process will be eliminated as the autonomous database is able to crunch and make sense of large amounts of records in the background as it responds to queries from smart apps running on machine learning algorithms that can detect and isolate anomaly, while other routine transactions can be approved without incident. Similar to its Cloud solutions, its autonomous database and PaaS offerings will give enterprise customers plenty of reasons to reimagine their business processes mundane or otherwise, ultimately determining what can be handled without human intervention, saving time and resources along the way. In the past, companies would spend enormous amounts of time to manage those mundane processes. Today, Michael Sherwood, director of IT for City of Las Vegas, likens this to a knowledge game as his team of DBAs and IT specialists can now focus on better use of business insight and new technologies like autonomous database, rather than trying to keep the lights on. Over the past 12 months, Oracle has made a half dozen acquisitions to shore up its solution selling approach as well. At the industry level, Oracle bought Aconex for project collaboration for construction vertical and Vocado for student financial aid for higher education. These are point solutions that Oracle has acquired through the years to buttress its industry-specific applications. Additionally, Oracle acquired Grapeshot for emarketing, DataScience.com for machine learning, SparklineData for Spark-based Business Intelligence and Zenedge for network security, all fundamental building blocks to create specific solutions for enterprises aiming to transform themselves digitally. Zenedge, for example, is now Web Application Security Suite pairing up with Managed DNS and Traffic Steering(formerly Dyn that was acquired by Oracle in November 2016) to create secure and intelligent edge services covering all the onramps, interconnects and points of presence that make the Internet truly global. Oracle plans to launch in June the Internet Weather Map that tracks the flow of Internet traffic based on Zenedge, Dyn and a host of analytics tools, contributing to the solution selling piece at the Infrastructure As A Service layer. Customers attending the May event indicate that they are exploring a wider use of the Oracle stack from the new Autonomous Database to Fusion applications. BBC, for example, runs Adobe Omniture for marketing automation, alongside the new analytics tools and chatbot from Oracle. What Oracle hopes to do in fiscal 2019 and beyond is the ability to shape the IT direction of the 250,000+ companies that it does business with, steering them to the Cloud in order to help them achieve greater enterprise value. Instead of partnering with Amazon Web Services, Microsoft or even IBM, customers shopping for a complete Cloud solution may find Oracle an attractive option. Still, Oracle is far from perfect. Despite years of acquisitions(at least 100 by our estimate) and heavy R&D investment(over $50 billion cumulatively since 2004), Oracle’s evolution from a database developer to a Cloud solution provider has faced the same trials and errors that have bedeviled other well-established tech vendors. It has taken more than a decade to develop from scratch and build a following for the much touted Fusion applications, a process jumpstarted by the acquisition of PeopleSoft in 2005. Its 2012 acquisition of Taleo, which was considered one of the first significant purchase of full-blown Cloud applications, catapulted Oracle to the No. 1 spot in the talent acquisition market, one that it still holds today. However, stiff competition from upstarts like iCIMs and Jobvite has erased its lead. Moreover, the $7.4 billion Oracle spent on the acquisition of Sun Microsystems in 2010 could have been better deployed if it were to compete with Amazon head-on, neutralizing AWS’ first-mover advantage in the Infrastructure As A Service market. 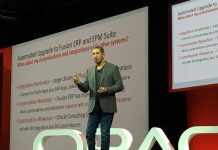 During the May event, Oracle executives said thousands of customers are adopting Fusion applications including 3,000 that have already gone live. Additionally, 280 Oracle E-Business Suite customers have migrated to the Cloud, leveraging ERP in the Cloud in a whole new way to drive their digital transformation initiatives, according to company president Thomas Kurian. One way to attract more customers to adopt and migrate to Fusion applications lies in the enhanced Cloud support that it announced in May, providing customers with Platinum-level services including 24X7 technical support as standard offerings. Oracle’s value lies in the fact that its Cloud solution can act as a bulwark against the increased commoditization of the Cloud marketplace, which could go without centralized support or even accountability because of the involvement of multiple Cloud service providers. Reinventing Oracle from a database-centric vendor(with database still accounting for one-third of its revenues by our estimate) to a Cloud solution provider(with Oracle Cloud now representing 16% of its revenues) requires not only a whole lot of easy to deploy Cloud solutions, but also a totally different mindset and selling strategy. Oracle is doing that far from its Silicon Valley headquarters. In March 2018, Oracle officially opened a 40-acre campus in Austin where it employs 2,500(many of whom fresh out of colleges in Texas and elsewhere) but plans to have as many as 10,000 employees in total. The centerpiece of the 560,000 square-foot building is Oracle’s next-generation contact center where thousands of these Oracle Digital salespeople and product specialists are working closely to market and sell the Oracle Cloud. The Austin campus even has a 295-unit apartment compound on site. In Austin, Oracle is putting its Cloud Solution Hub and one of its primary Oracle Digital operations under one roof. 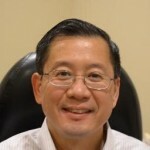 That means scoping customer requirements, developing Cloud solutions with Oracle own technologies along with contributions from hundreds of startups that Oracle is mentoring under its Global Startup Ecosystem program, and finally pitching and delivering the complete solution set to its existing and net new customers. Like all things Texas, Austin embodies the new prototype of reimagining the Cloud and its vast potential. Indeed, Oracle’s Cloud solution is within reach. In order to maximize business value and demonstrate how tax dollars are hard at work, City of Las Vegas, as its IT director likes to point out, will have streets that can autonomously reconfigure themselves by adapting to changing traffic patterns(more lanes going in the direction where jobs are in the morning and the reverse for the evening commute). The same applies to its autonomous transit system, which will also become self-directing, self-driving and self-decisioning because of the rich amounts of data and insight at its disposal. And it’s banking on vendors like Oracle to deliver the database, the apps and everything else needed to create a simple to use Cloud solution that maximizes enterprise value.